Glaciers all over B.C. are melting. Some of these large glaciers can be found in the province’s northwest, in a region dubbed the Golden Triangle, known for its rich mineral deposits. B.C. is home to a number of large mountain glaciers that stretch high into the sky, especially in an area known to miners as the Golden Triangle in northwestern B.C. The region, between Terrace and Telegraph Creek and which crosses the border into Alaska, is rich in mineral deposits. But these once mighty giants are melting, says Brian Menounos, Canada research chair in glacier change at the University of Northern B.C. In fact, glaciers right across the province, including smaller ones west of the Rocky Mountains, are receding due to global warming, says Menounos. While the receding glaciers signal the effects of climate change to experts like Menounos, for prospective miners, it's an opportunity to extract minerals from the earth, which for thousands of years remained untouched under an impenetrable shield of ice and snow. Goliath Resources Limited is a precious materials project generation company that has focused its work on the Golden Triangle. "It's only the last three to five years that we've been able to take advantage of the glacier recessions. And more importantly, the permanent snow pack is no longer there," said Roger Rosmus, CEO of Goliath Resources. 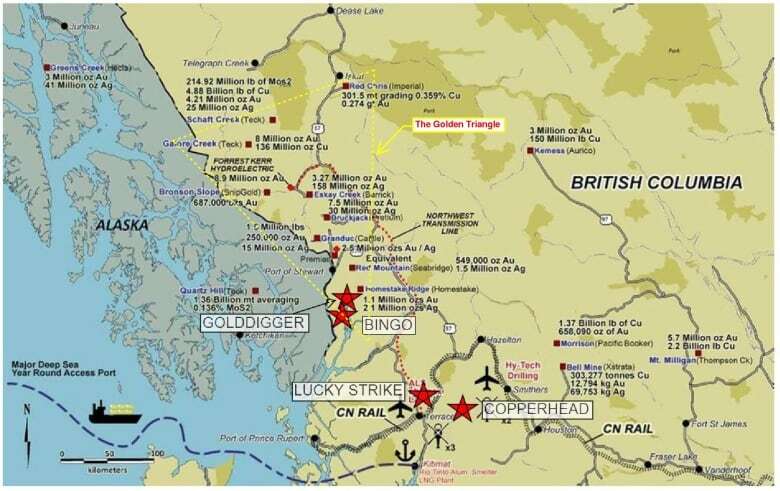 Rosmus' company owns a number of properties around the Golden Triangle, where it's currently exploring the area's potential for mining. He spoke withDaybreak North host Carolina de Ryk about how his team discovered gold, copper and silver deposits right at the surface, without the need to dig. "Our hope is to find some brand new elephant-sized type discoveries," said Rosmus. Rosmus believes the area, and its receding glaciers, offer the province a number of economic windfalls. "It's [the golden triangle] a world-class geological setting. It provides a lot of jobs and employment and taxes for the province." 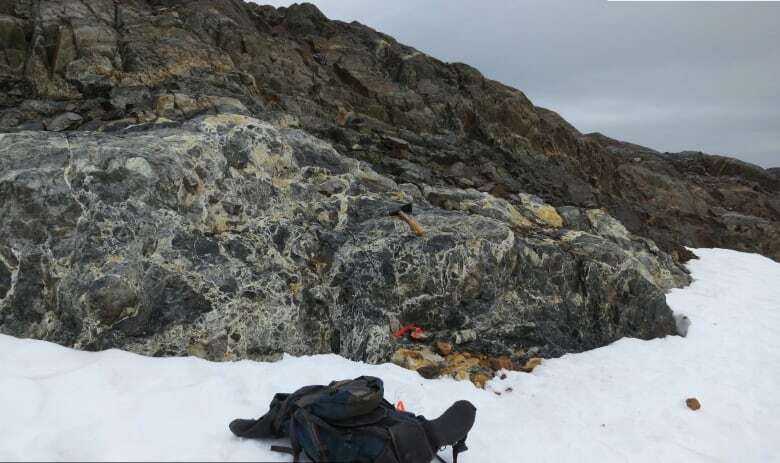 The glaciers in the golden triangle started to form about 7,000 years ago, according to Menounos, who is also a professor of earth science at UNBC. "Those glaciers in and around the Golden Triangle are thinning about half a metre to a metre a year. This doesn't sound like a lot but taken over 30 years, we're talking about 100 feet of lowering," said Menounos. And these melting glaciers are a key contributor to rising sea levels, says Menounos, which poses its own threats, such as the erosion of coastal landscapes and potentially fatal changes to wildlife habitats. Menounos says that for certain glaciers in B.C., like the smaller ones along the Rocky Mountains, it's too late to reverse their fate. 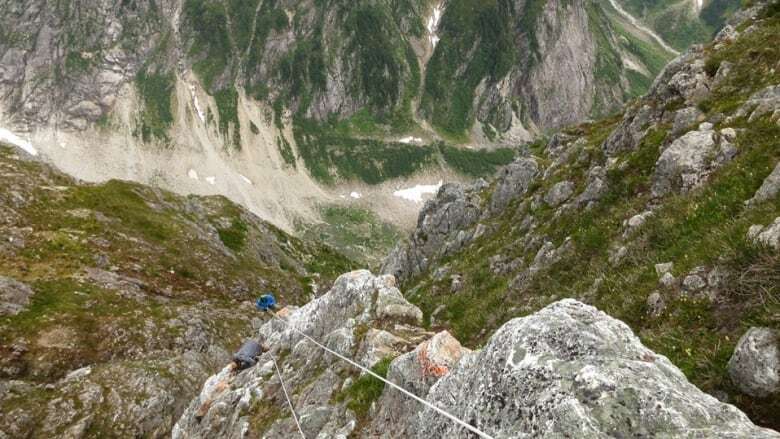 "The small glaciers of our province, those are likely going to continue to retreat even if we were to reduce CO2 emissions, the major component of global warming," said Menounos. "We've really committed those small glaciers to an eventual demise." However, he says that for larger glaciers there's still hope. Although they won't return to their former grandeur, Menounos says we could see a slowing of their retreat if we were to reduce our emissions. But that, he adds, would require a global effort, not just from Canada. "Everyone has to do their part," he said.